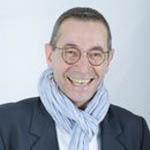 During his career, Didier Zerath has worked as Marketing Director for EMI Music Continental Europe, based in London, Marketing Director for Warner Music France, Marketing Manager for EMI France and Product Manager for Arista/BMG Records in Paris. In these positions, he was responsible for pan European or French marketing campaigns for artists such as Joe Cocker, Tina Turner, Madonna, Prince, Eric Clapton or the Red Hot Chili Peppers to name but a few. Since leaving Warner Music France he launched 55 Communication, a management and consulting boutique, founded Music Manager Forum France in 1999 and was among the founding members and council member of the International Music Manager Forum in 2000. Most recently, he launched The DZ Factory Ltd in 2013, which works as an artist management company and a consulting firm to both the music industry and music industry investors.